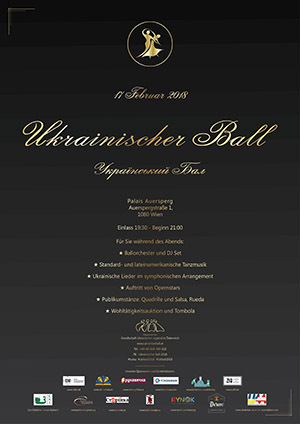 Ukrainisсher Ball in Vienna in February 2019! 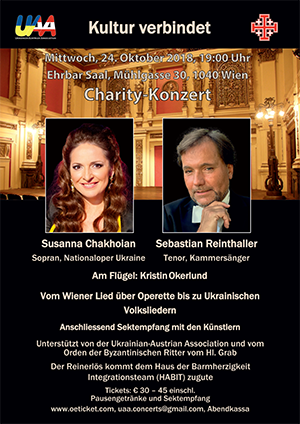 Ukrainian-Austrian Association is partnering again with TUMA, the Ukrainian Youth organization in Austria, concerning the Ukrainian Ball on 16.02.2019 at the elegant Palais Auersperg in Vienna. A really great job has been done in making this ball an event truly worthwhile a visit. Please check Ukrainischer Ball 2019 and TUMA for further information and tickets. will not miss to attend. Join us! Alfred Praus has participated as a speeker in the seminar "Introduction of companies to the European market: search of partners, preparation and certification of goods, distribution of goods", organized by the Kyiv Business Support Centre at KCCI on Nov. 27, 2018. The event was held with the support of the EBRD and the EU4Business initiative. Presentation by Mr Praus, used during his lecture on "How to succeed in international joint ventures". Portrait and interview on UAA and our President Alfred F. Praus including his family at UATV. UAA thanks Anna Kosstutschenko and her team for the professional work! On Tuesday, 11th of September, our President Alfred F. Praus held an impressive lecture "Ukrainian Advovates: Learning the Best Practises of Working with International Clients", followed by a highly informative workshop at Higher School of Advocacy. We would like to thank GOLAW, new members of UAA, for perfect organization of this event! 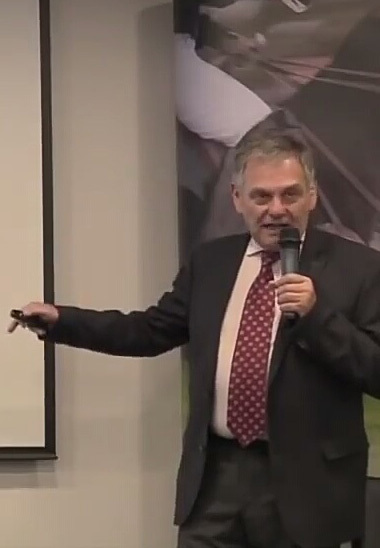 You can find full recorded Live Streaming of the lecture & workshop here. On the 9th of July, 2018, Ukrainian-Austrian Association and Regional Development Agency of Poltava Oblast have signed a Memorandum of Understanding and Cooperation! Interview with the President of Ukrainian-Austrian Association Alfred F. Praus for geopolitical magazine Bintel. Ukrainian-Austrian Association took the initiative and organized, together with the International Council of Business Associations (ICBAC), the international conference Foreign Direct Investment. Prerequisites, Strategies, Measures at the Diplomatic Academy, Kyiv on May 29, 2018. A Quick-Fire Quiz Interview with the President of Ukrainian-Austrian Association, Alfred Praus, in the Destinations Magazine Ukraine. Interview with Alfred F. Praus (Ukrainian and English) in the geopolitical magazine BINTEL of BORYSFEL INTEL Center, Ukraine. Interview with Alfred Praus, president of the Ukrainian-Austrian Association, for Hromadske Radio. Dear members and friends! UAA as informational partner of the First Diplomatic Golf Tournament on April 28, 2018 is kindly inviting you to join us – be it as player, trying it the first time or just to spend a pleasant day. 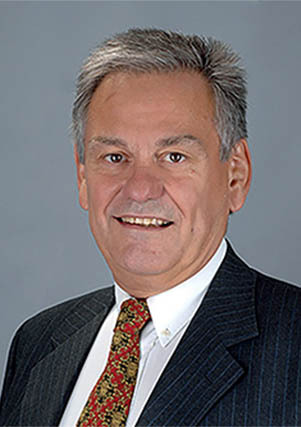 Our President, Alfred F. Praus had been mandated by Olexandr Savchenko, President of the Ukrainian MIB (International Institute of Business) to search for an University of Applied Sciences, preferably in Austria, with the aim to establish a partnership concerning a double MBA or MA of Science in Business. Last week they had meetings with Karl Ennsfellner, CEO of IMC FH Krems as well as with Andreas Altmann, Rector of MCI (Management Center Innsbruck) and his team in Austria. Talks have been productive and promising for a soon establishing of joint programs. Next step is going to be furthering and specifying of considerations during visits of the potential partners to Kyiv. We are gladly announcing our partnership with the organizer Gesellschaft Ukrainischer Jugend in Österreich and are inviting all friends of Ukraine to join this ambitious and certainly pleasant event. See their: Ukrainischer Ball 2018. Alfred F. Praus and Stefan Haboeck are looking forward to joining the ball. On December 5th, 2017, Ukrainian-Austrian Association was honored to have joined the ICBAC - International Council of Business Associations and Chambers of Commerce. Together with our colleagues and friends representing USA, the UK, Germany, France, Turkey, China and Ukraine we will contribute to the beneficial development of Ukraine. 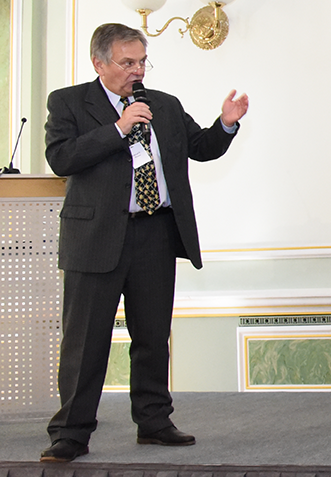 Alfred F. Praus has been entrusted by Oleksandr Savchenko, the President of IIB (International Institute of Business) to assist him in finding a partner university of applied sciences for IIB, preferably in Austria. Persisting activities are progressing. 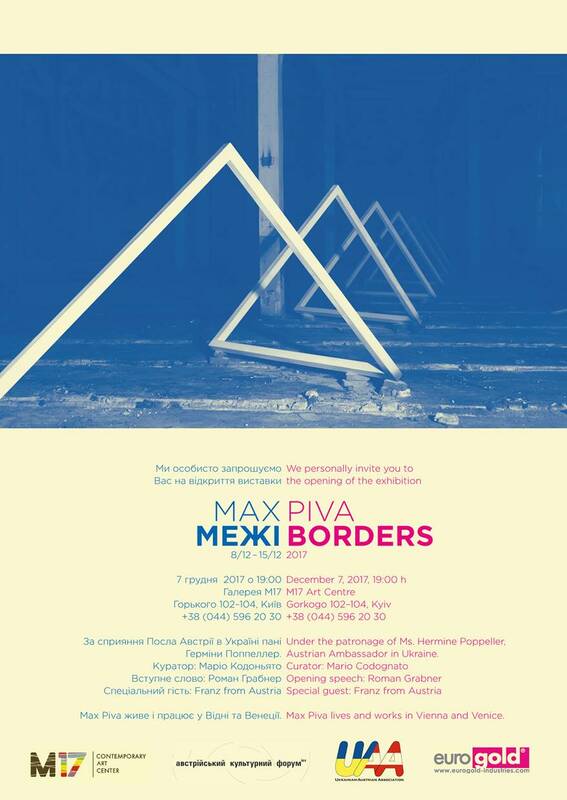 We are happy to announce and invite You to a wonderful event with Ukrainian-Austrian Association partnering with the producer, EUROGOLD Industries, Zhytomyr: Vernissage of the Austrian Artist Max Piva, which will take place on 7th of December 2017 at the Contemporary art center M17! 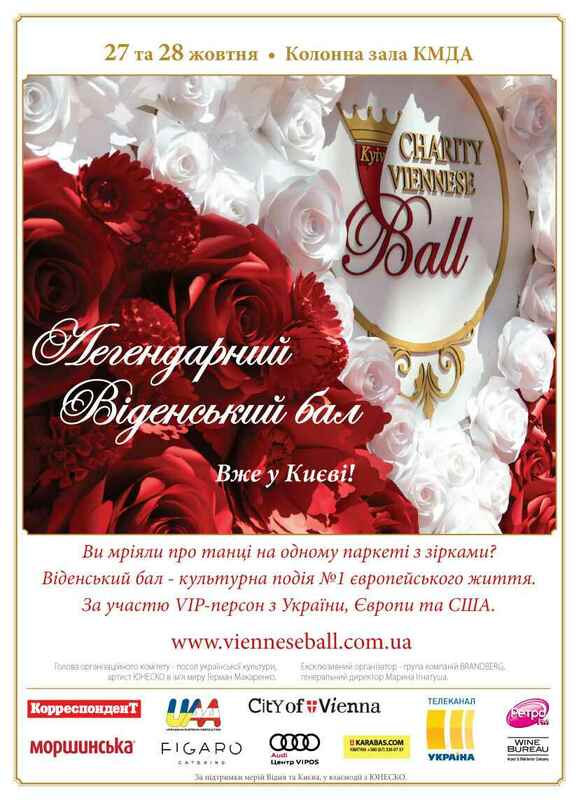 After many years, on 27th and 28th of October, Kiev will celebrate a Viennese Charity Ball with Ukrainian-Austrian Association partnering, e.g. securing the auspices by the City of Vienna and the singers at the opening. See the poster and the website for details. You are cordially welcome. Introduction to Ukrainian-Austrian Association in magazine Business Ukraine 7/2017, published on October 6. See also the article of our friend and member of the Supervisory Committee, Prof. Ihor Zhaloba, on Ukraine as a post-Habsburg nation. 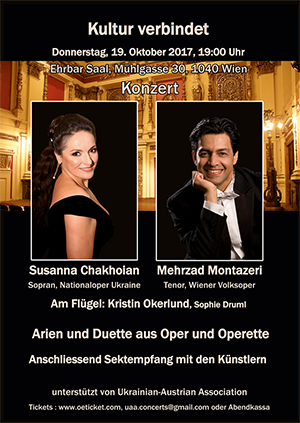 Ukrainian-Austrian Association produces ist first cultural event on October 19, 2017, namely: the Vienna concert “Arias and Duets from Opera and Operetta” in historic Ehrbar-Saal, followed by a meet & greet. Was a big success indeed: in terms of cultural and artistic level, welcoming some highly esteemed guests and donating the proceeds from the donations at the Meet & Greet to Kiev Lions Club. To be certainly continued next year.